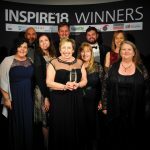 Late last year we were shortlisted as finalists for an Inspire Award in the Business and Community category. 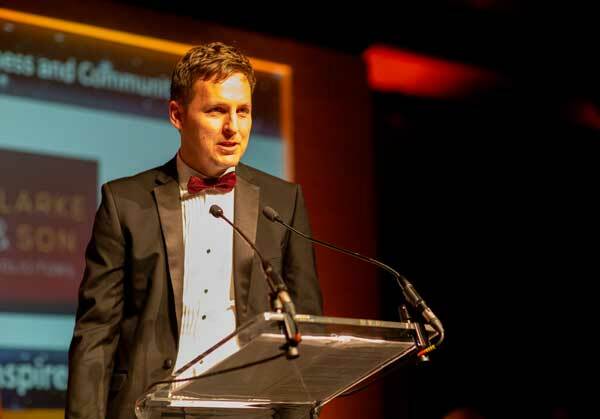 This award looks to recognise a business that makes a special contribution to our community. 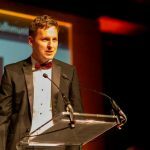 We were nominated for our work raising money for local charities in particular The Ark Cancer Centre Charity, as well as our community projects- Spread the Warmth. Ten members of staff attended the black tie ceremony at The Hampshire Court Hotel on Thursday 22nd November. Our award was one of the last of the night to be announced, so nerves were certainly building at this point. 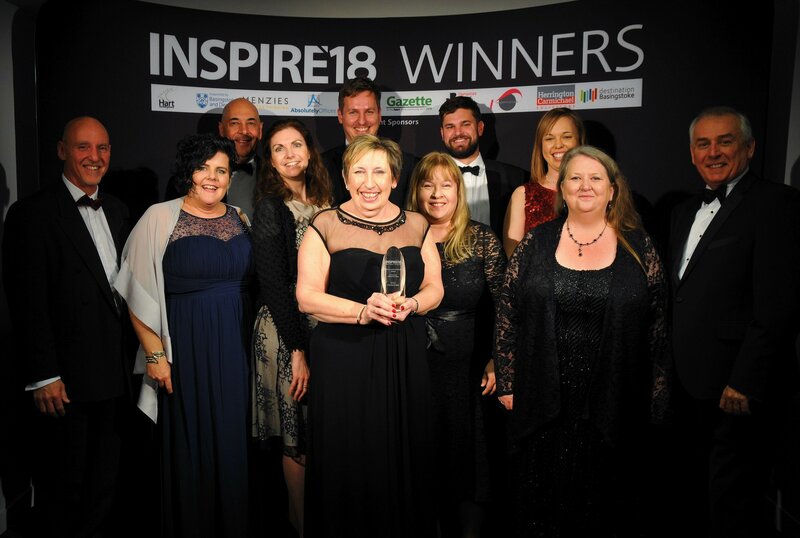 When the time came to announcing the winner none of us there believed we had a chance of taking the trophy home after hearing about all the fantastic work done by the other finalists in our category- Jim Hill Classic Simulators, Unum and Sovereign Housing. 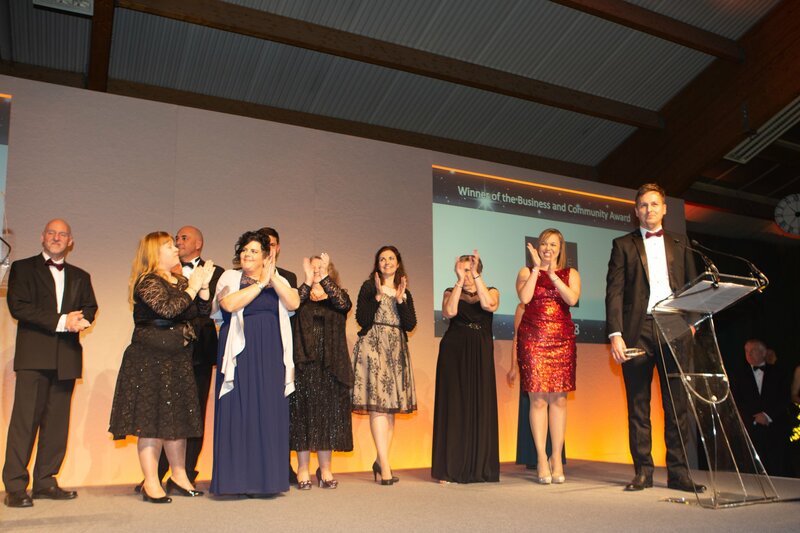 However, we were shocked to hear Clarke and Son announced as winners. We feel extremely honored and proud to have been named winners of the Business and Community Award and to be recognised for the work we have done in our community. It was a real team effort and we would like to thank all of our staff for the extra effort they put into raising money and awareness for such worthy causes. We would like to congratulate the finalists in our category, as we mentioned before it was a tight competition and we did not expect to leave as winners. 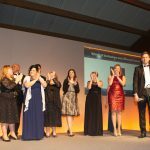 It was a fantastic celebration of business in North Hampshire and again, congratulations to all of the winners and finalists.